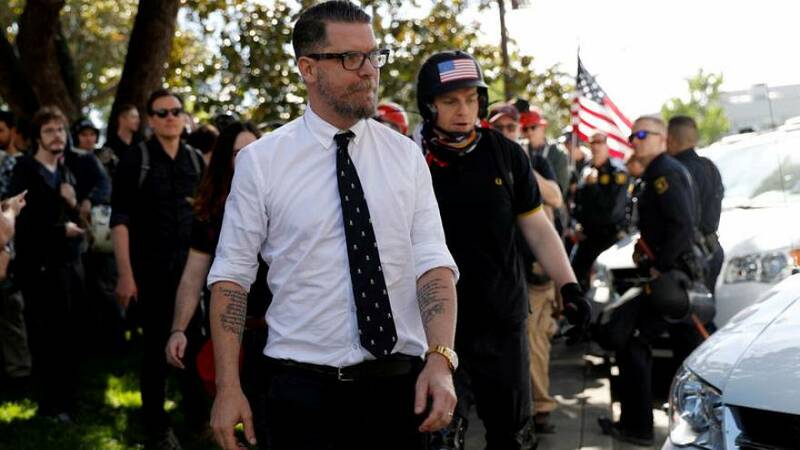 Proud Boys founder Gavin McInnes sued the U.S. Southern Poverty Law Center on Monday for defamation after it labelled his organisation a hate group, alleging the designation was aimed at getting him kicked off social media platforms. The men-only Proud Boys group describes itself as a fraternal club of "Western chauvinists" who are "anti-racism," while the law centre describes the organisation as misogynistic, anti-Muslim bigots. McInnes is seeking unspecified damages and asking the court to declare the hate group designation as unlawful, saying the law centre has made a series of false and malicious statements about him. The law centre called the suit meritless and promoted its webpage outlining why it considers the Proud Boys a hate group. The suit was filed in U.S. District Court for the Middle District of Alabama, the jurisdiction for the law centre's Montgomery headquarters. The lawsuit acknowledged the Southern Poverty Law Center's historic role in promoting civil rights but said it now resorts to name-calling and raising false alarms in order to raise funds. "They have harassed me, my family, and my friends to a level of tortious interference that goes well into sabotage," McInnes said in a statement. "I am doing this, not just to protect my reputation and my family but to protect everyone else's." The suit claims the law centre influenced the decision by conservative media outlet Blaze TV to fire McInnes in December and that McInnes, the co-founder of Vice Media, was banned from YouTube and his podcasts banned from iTunes in part because of the law centre. The law centre said it took the lawsuit as a compliment. "Judge us by the enemies we've made," law centre President Richard Cohen said, paraphrasing former U.S. President Franklin Roosevelt. "Gavin McInnes has a history of making inflammatory statements about Muslims, women, and the transgender community. The fact that he's upset with SPLC tells us that we're doing our job exposing hate and extremism. His case is meritless." The law centre says on its website that Proud Boys disavowals of bigotry are "belied by their actions," accusing Proud Boys of promoting white nationalist memes and appearing alongside other SPLC-designated hate groups at right-wing rallies. The law centre's website also quotes McInnes making a series of racist statements. The lawsuit claims the quotes are old or no longer relevant.